On the road to a…. Well, It’s been one week since I decided to join the gym and so I decided that each week I would let you all know how I am doing on the road to a healthier new me..
One of my biggest problems is that I often get bored and especially if I don’t see any results. So, that was one of my issues this week. The first day was really hard but after it seemed to get easier, however, every once in awhile I would get cravings but I haven’t yet succumbed to my cravings because in the back of my head, I think, gosh for one scoop of gelato, I’d have to work out for an hour to burn it off and well, its just not worth it for me, plus I would have the wrath of Vittorio and that couldn’t be good either. Every Friday, I have a weigh in and so far after dieting and exercising for one week, I lost only 2 kilograms which is about 4.6 pounds and the scary thing is I don’t notice anything different, the only thing is I feel sore everywhere. ahaha. Imagine, just how out of shape, I really am. Last week, after a grueling two hour work out, I needed to go to the center of Treviso and my lovely trainer told me I should just walk there and that it would only take me 15 minutes, so I thought, why not? I can trust him, after all he has my best interests. Long story short, it didn’t take me 15 minutes to walk there, instead just under 30 minutes and it wasn’t so close from where i started. About 4 km away (3miles) Ahaha, he got me! But on a positive note, the walk along the way was simply gorgeous. 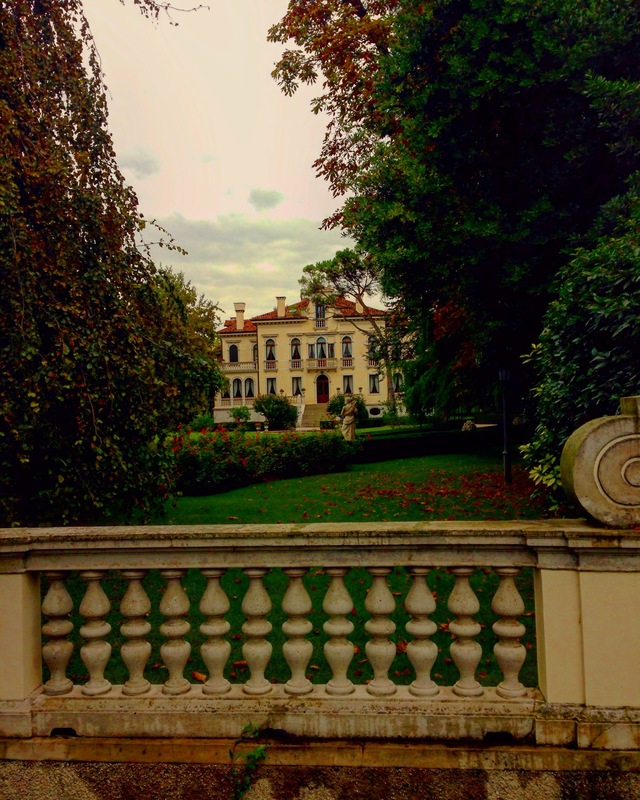 I was surrounded my old Venetian Villas, beautifully landscaped gardens and the fresh fall air. Being the true American that I am, I wasn’t going to let Vittorio get away with that ahaha, so I told him “Oh, by the way, I finally arrived to the city center and oh yea, it took me just under 30 minutes” And his response? You are too slow. ahaha. If that isn’t motivation, then I am not sure what is. Here was my view all along my walking path to the city center. Sometimes, I’ve got to pinch myself.